Skips should never be overloaded- it’s neither safe nor practical! Here at Chorley Skip Hire, we only accept level-loaded skips to prevent dangerous consequences. Whether it be skip hire Chorley or skip hire Preston, we aim to provide you with a service that suits the requirements of your project but ensure that you abide by the rules and regulations that are currently in place. With the help of Chorley Skip Hire, there’s no reason to say that you cannot dispose of waste in a way that’s safe and efficient- so why are so many people overloading skips? You’re likely to be looking to maximise your investment when it comes to skip hire Chorley, and rightly so. 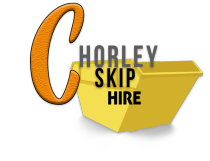 At Chorley Skips, we specialise in domestic skip hire, providing a wide range of skips to accommodate for the volume of waste that your project generates, ensuring that you have sufficient space to store unwanted materials. Throwing everything inside your skip is seemingly a convenient way to remove clutter but this isn’t the best option. The skips that we deliver for skip hire Preston are designed to be spacious but there are restrictions to what can and cannot be disposed of. Skips that are overloaded can be refused collection by our fleet drivers, so don’t be tempted to fill the container too high. So, how do you know when a skip is “too full”? Extending the size of the skip. Depending on the type of work that you’re undertaking, it can be only too easy to stack waste up inside a skip. If you dispose of large, bulky materials, these can often exceed the sides of the skip, creating additional space- which equates to more disposal space and allows you to fit more in. Each and every one of the skips that we provide for skip hire Bolton incorporates a fill level around the outside of the skip. The fill level is something that you need to be mindful of when filling your skip with waste because exceeding this level will have expensive consequences. Taking no notice of the fill level will result in the balancing effect- meaning that your waste materials will be more likely to fall out of the skip and cause injury. As well as this, you can expect to be handed a fine for your skip hire Bolton for not complying with strict regulations. 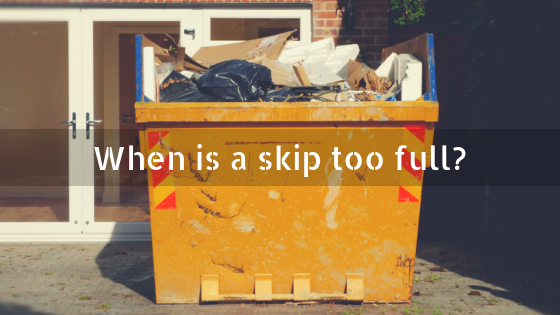 Even if your skip is stacked full with materials that don’t weigh very much, they can still be refused collection. When a skip is overfilled (even with lightweight materials) it makes it incredibly difficult for our fleets to transport it safely to the recycling centre. For skip hire Leyland, we use reliable fleets that are responsible for the transportation of skips that are filled with waste. Overfilling your skip will result in materials sliding out of the container as we lift it on to the back of our loading vehicles. Skip hire Leyland is a great way to dispose of materials that are no longer wanted or needed but it’s not always about the weight of your skip but the volume of waste that’s held inside! Anyone who fills their skip with waste and exceeds the maximum fill level can expect to be charged extra. To prevent waste overflowing in your skip, and to ensure that you get more out of your skip hire Wigan, we suggest filling your skip with waste carefully and storing materials in an organised manner. Starting at the bottom of the skip with heavy materials will allow you to squeeze more in and make the most of the space available. If your skip is overloaded with waste, this can easily be avoided by ordering the right size skip. The skip size often depends on the type and size of your project. At Chorley Skips, we supply a wide range of domestic and commercial skips that are suitable for all projects. Estimate how much waste you expect your project to generate and assess all of the options that are available to you for skip hire Wigan. Make sure that you choose a skip that offers plenty of space for the materials that your project generates. Don’t be tempted to go for the smallest skip that we provide because it’s the cheapest one! It can work out equally as affordable for you to order a larger skip that provides ample space for the materials that need storing. Should you need to know more about the do’s and don’ts to skip hire, don’t hesitate to get in touch with our team of experts who are always on hand to help!